Maybe I should be writing this Friday. I’ve always done it today, and this year won’t be any different. Forty-six years ago, when a fire during tests in an Apollo spacecraft on the launchpad killed three astronauts, I wasn’t around yet. Odds are, statistically, neither were you. The Apollo I fire has been long enough ago now that the world’s population then was only half what it is today. I knew the names of the crew for the namesake schools honoring them here in Huntsville. I was teaching at one of those schools last year on the anniversary of the loss of Columbia. 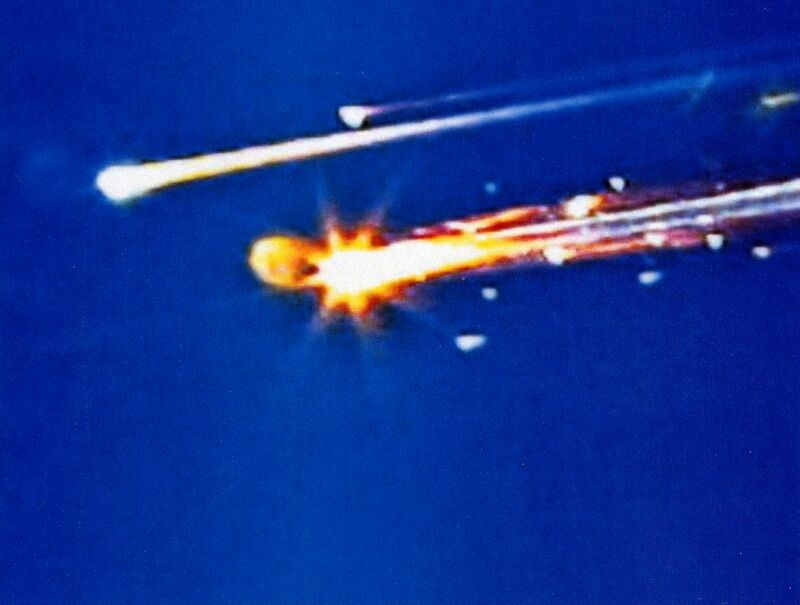 Twenty-seven years ago, I was a new transfer student at Huntsville Middle School when we lost the space shuttle Challenger. I was in the gym when I heard, and I literally couldn’t believe it. Space shuttles do many things, but blowing up, to my 10-year-old mind, was not one of them. It wasn’t until much later in the day that I knew it was true. It was a universal touchstone for my generation, and it’s odd as time passes to encounter those for whom it’s just a historical event. Ten years ago, I was at home. I was asleep, when a coworker called to tell me about Columbia. I was addled, and it made no sense. I finally understood enough to go downstairs, to turn on the TV. To hear the repeats of “Columbia, Houston, Comm Check.” I was working at Marshall Space Flight Center already then; I had been for about half a year. It was different. It was personal. It hurt. It still does. I made myself some promises then. I was nobody. I worked at NASA, but I had nothing to do with the shuttle or its safe flight. But I promised myself I would watch every launch. I promised myself I would watch every landing. I wouldn’t take them for granted. We, as an agency, needed to take less for granted. And even if I couldn’t contribute, I could at least hold myself to that standard. And so I did. I set my alarm for some weird hours sometimes, but I watched every crew launch after that, and I watched every crew come safely back home after that. I heard every “Wheels stop,” right up until the last time they did. The last time I marked this anniversary at Marshall, we were still flying humans into space. We’re not, today. But we are preparing for the day we do. And this time, in a very small way, I have the honor of being a part of that. I’m not an engineer. I’m not directly responsible for safety. I’m glad to be a part of a team that does have safety as a prime value in this new rocket they’re designing. But even in my small role, in the ways that I can, I will still work to uphold that standard — Don’t take it for granted. I wrote a little bit ago about starting my new job at NASA’s Marshall Space Flight Center, providing communications support for the new Space Launch System rocket. At the time of that post, I was mostly settled in, but had one milestone I’d not yet crossed — receiving my new badge. I’d planned to write another post when that happened, but I was busy. So I’m writing this one instead, which is better anyway. The badge was always a big deal to me. It meant I was part of something incredible. I was proud to wear it, and when I was hired for this job, I very much looked forward to wearing it again. There were two types of occasions, however, when I was most proud of wearing it, when I was most aware of what it meant. There were the days when I was aware of its history. Days that I was in the room with Flight Director Gene Kranz, talking about his experiences on Apollo 13. Days when I was in the room with Alan Bean, telling us about what it was like to walk on the moon. In its history, NASA has done incredible things without parallel, and the badge means I’m part of that heritage. And then there were the days when I was aware of its potential. Watching a shuttle launch. Watching the Ares I-X launch. This agency does incredible things today, and the badge means I’m part of that team. So I was glad to be wearing it again. Yesterday was one of those days. And by those, I mean both of those. I’m not going to say it was the most incredible day I’ve experienced, but I don’t recall another day that brought home both the heritage and the potential like yesterday did. Yesterday, I watched an engine component test firing. The component being fired was over 40 years old; a gas generator from the F-1 engine that powered the Saturn V rocket that carried men to the moon. Obviously, this particular piece didn’t fly, but it was produced alongside the ones that did, for that very purpose. F-1 engine testing at Marshall Space Flight Center was a major milestone on the road to the moon 50 years ago, and I was there watching hardware from that era come to life again, in the same test area. The component was being fired because it’s being studied to create an improved, modern version of the F-1, as part of a program to develop a new rocket. The goal is a new launch vehicle that will ultimately be more powerful than the Saturn V and that will unlock the solar system for human exploration and for robotic missions beyond anything we could do now. NASA has done amazing things. But the best is yet to come. It’s an honor to be a part of that. It’s an honor to wear the badge.